Looking for a qualified Tree Surgeon in Fulham? GraftinGardeners have professional tree surgeons in SW6, London and surrounding areas. 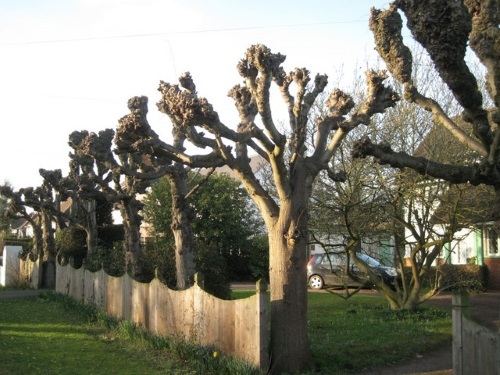 GraftinGardeners have expert arborists operating in Fulham and surrounding areas. Our tree surgeons are of the highest calibre and we take a serious approach to the business. We provide a comprehensive tree surgery service for a fair price and are always willing to go the extra mile to make our customers happy. If you require tree surgery in SW6, we’d me happy to help. Felling a tree is risky and dangerous; it can have serious consequences if all goes wrong. Only fully qualified tree surgeons should attempt to fell a tree. Our tree surgeons are trained to the highest standard and perform tree felling on a regular basis. We can fell any size tree in any location and always abide to UK safety guidelines. Tree pruning can potentially damage a tree if done incorrectly. You should always consult a professional tree surgeon before attempting to prune your trees. Our team is fully trained and qualified to perform all kinds of tree pruning operations. 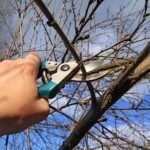 We can safely prune your trees by following the guidelines set out in the BS3998, leaving you with a healthy tree for a longer life. 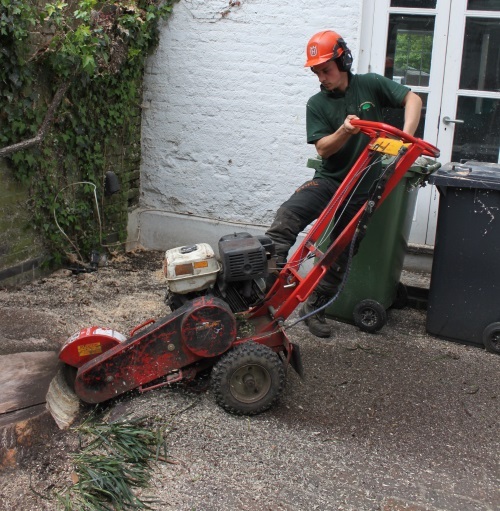 Removing a tree stump can be a tedious task if you haven’t got the right equipment and the manpower. Let our team come in and grind out your tree stump for you. When were finished, we can fill the resulting hole with soil or stump chippings and bring the surface back to level. Storms are the number one cause of tree failure. When a tree falls it can have disastrous effects on its surroundings and often damage your property. If you’re having a crisis with fallen trees don’t panic! Our emergency tree service is open 24 hours a day, 365 days a year. We will remove all storm damaged trees from your property with haste. Ivy adds to the value of your property when maintained correctly. It can also cause damage when it grows out of control. Brickwork can get compromised, rendering can crack even roof tiles can lift up! We can remove problematic ivy from the roots, so it doesn’t grow back. To find out more about our ivy management service, give us a call today. Want to plant a tree in your garden but can’t decide which tree to plant. We can help you! Our arborists are highly experienced at planting trees and have a great understanding of tree cultivation and management. 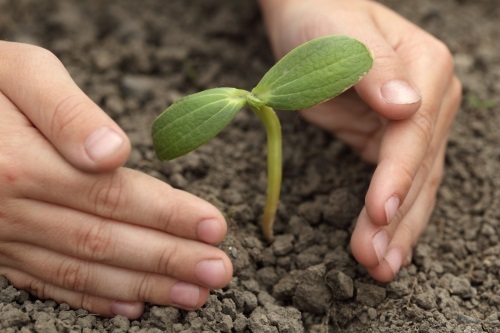 We can guide you through the whole planting process. Give us a call to find out more. Hedge trimming is a tricky task and should only be done by a professional with the right training and experience. Don’t risk destroying your prized hedges by hiring unskilled hands; get a professional hedge trimmer to do it! Our hedge trimmers are the best in the business and can shape and cut any hedge to whatever style you like with pinpoint accuracy. Tree pollarding is a risky operation and should only be carried out by professional arborists. If you’re unsure what type of pruning you trees need give us a call. Our expert tree surgeons can tell you exactly what form of pruning your trees require in order to maintain a healthy life.